The House Finch was originally a bird of the western United States and Mexico. In 1940 a small number of finches were turned loose on Long Island, New York, after failed attempts to sell them as cage birds (“Hollywood finches”). 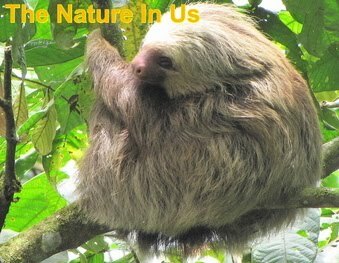 They quickly started breeding and spread across almost all of the eastern United States and southern Canada within the next 50 years. The red of a male House Finch comes from pigments contained in its food during molt (birds can’t make bright red or yellow colors directly). So the more pigment in the food, the redder the male. This is why people sometimes see orange or yellowish male House Finches. Females prefer to mate with the reddest male they can find, perhaps raising the chances they get a capable mate who can do his part in feeding the nestlings. 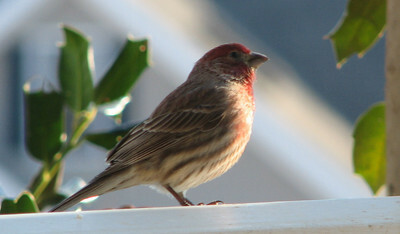 Read more info on the House Finch, watch a video of the female, and listen to its beautiful song at AllAboutBirds.org.